Last week, I pitched my weight loss story to a writer for The Dr. Oz show / magazine. I started picturing myself on his TV show, sharing how I’ve almost lost 100 lbs. 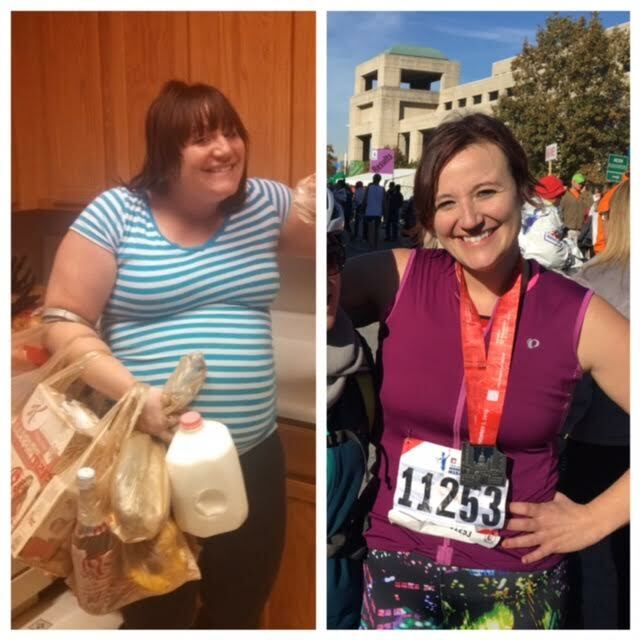 I imagined myself sharing the story about how I transformed my body so much in one year. I would tell a story about how I finished a half marathon in 2 hours and 30 minutes, a personal best of 33 minutes! Prior to that day, my best half marathon time was 3 hours and 3 minutes. You see, I’m really into visualizing experiences and transforming them into reality. I close my eyes and think deeply, so deeply that it feels like the scene of a movie is playing out in my mind. I imagine what I’ll do, who I’ll see, what I’ll see, and how they’ll act. I picture it all. There’s an entire theory to the idea of imaging your success and future. I believe it with all my heart. 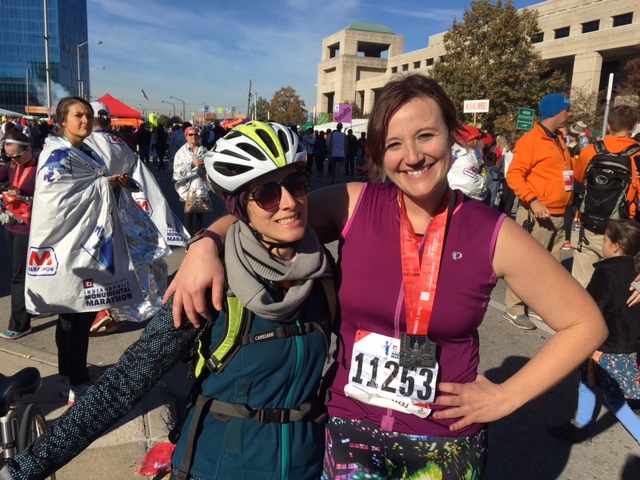 The spoiler to this story is that I did not finish the race in 2 hours and 30 minutes. I did not hit my goal. My body failed me. I was in the most unbearable pain from the moment I woke up. I was swollen from head to toe. I put on a happy face and tried to pump myself up, but I knew the race would be ugly. I woke up Saturday morning ready to tackle my sixth half marathon. In my heart, deep down, I didn’t think I would PR that day. I had started my period a few days earlier and my body was WRECKED! To be completely honest, I just wanted to stay snuggled up in bed and keep a heating pad on my stomach all morning. But, I pulled myself out of bed. Curled up in a ball again. Forgot to take my Advil and purposely didn’t take my water bill to help with bloating (I would later regret both of these mishaps). Chad arrived and we walked down to the start line. It was incredibly chilly and I was shaking – both from the cold and my nerves. When the race started, my body felt heavy. I felt slow. I didn’t feel good. 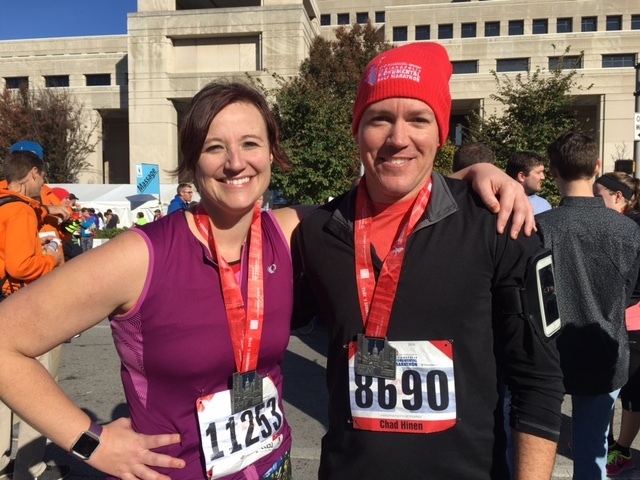 Our first mile was around 12:40 – really far off from my goal pace of 11 minutes / mile. I felt frustrated, and tried to pick up my speed. 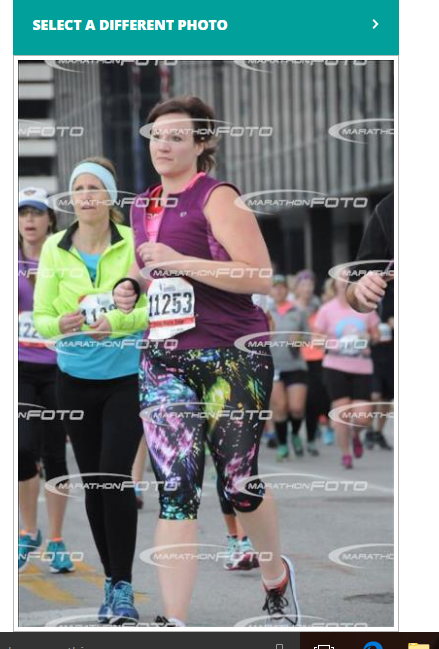 The only time I felt good running (around mile 3). But I felt sick. And running harder and faster only made it worse. I started to burp and felt like I was going to throw up. I saw my friend Brittany around mile 2 and mile 3. 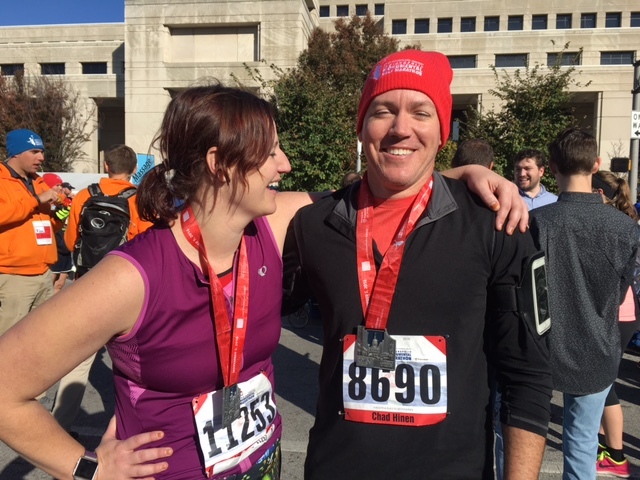 I wanted to text her and ask to bring me Advil, but I knew she didn’t plan on seeing me again until the finish line. Around mile 4, I felt slow again. He meant that in a positive way, but I actually turned a corner for the worse around mile 5. My uterus was exploding in pain. I begged him to tell me stories. What was your favorite childhood vacation? What was the worst thing you ever did as a kid? Where are you and your family traveling this summer? I tried to listen, but I wanted to cry. I was so frustrated! Every other part of my body felt great. My calves, my thighs, my back, my feet – everything else felt great! My ovaries were just sucking the life out of me! I’d say mile 5 to 6 was when I realized I couldn’t keep up with my running 5 minutes and walking 1 minute plan. Shortly after that, I saw my friend Sarah on the bike! I stopped to hug her and stretch. Her energy was so contagious! A minute later, we took off “running” again. Chad is a great runner. He’s in awesome shape and usually finishes half marathons in under two hours. So, being on this course an extra hour is a new change of pace for him! I was so incredibly thankful that he didn’t push me harder than I could go. He understand, best of his ability, the pain that I was experiencing. Stopped to almost puke from the pain about 3,018 times. And I did whatever I could to keep going. Around mile 10, I saw Sarah on her bike again! “Can you find me some pain medicine?” I asked Sarah. She took off and asked every single person in the crowd for pain meds. Finally, she found some at the first aid station. Unfortunately, I didn’t have any water to wash down the meds. So, bless her sweet heart, she rode her bike back to a water station. I wanted to squeeze her (and steal her bike for real this time). I placed them in my pants. They stayed in place while I was walking, but the moment I started running again they slid down. Sure enough, the hand warmers were down below in a space they shouldn’t be…. I look over and saw my good friend, Brooke, cheering me on! I really, really needed to see her smile and hear her cheer me on! She didn’t even judge me for having my hands down my pants. We kept walking and running when I could find the energy. Around mile 11, Chad told me we hit the 2:30 mark. My goal was long gone, which I knew. But in my heart, I started to believe there was a chance I could still PR. Moments later, I saw another friend, Meghan, riding her bike. She shouted for me and my spirits lifted a little bit more. I tried to run a little more. By mile 12, I found myself turning a corner. We started running for our 3 minute running interval again. Once we hit the 3 minute mark, Chad told me it was time for a break. 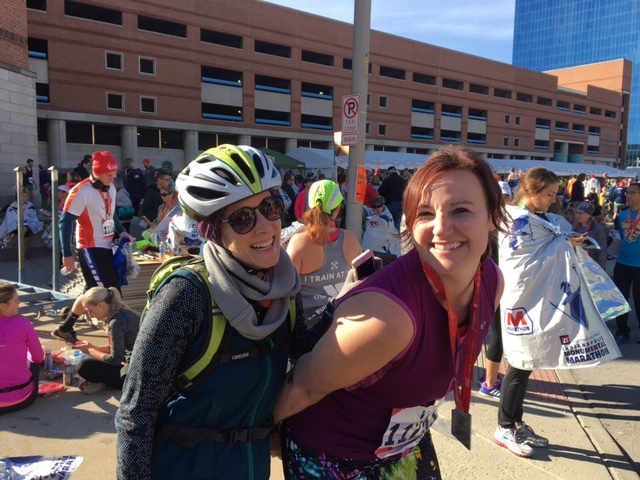 Along the way, I saw my friends Robyn and Lindsay – hearing them cheer me on gave me the extra push to keep going and not slow down! So, for the last .65 miles – I ran without stopping. I kicked it in high gear when we turned toward the finish line. I felt like I was running faster than EVER, even though it was probably a light jog. 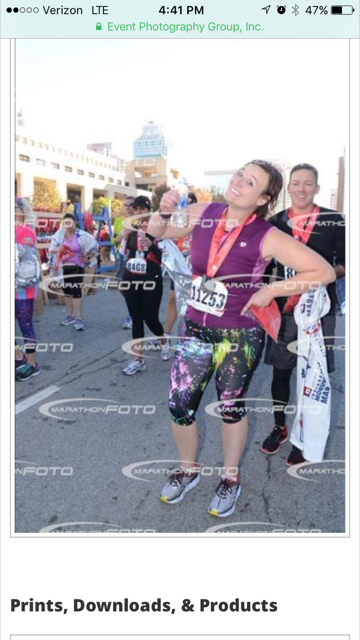 I don’t know what I was thinking when I crossed the finish line. This is what I looked like 89% of the time. I don’t know where Chad was….I didn’t even know if he was next to me anymore. I just saw the finish line and ran for my life. 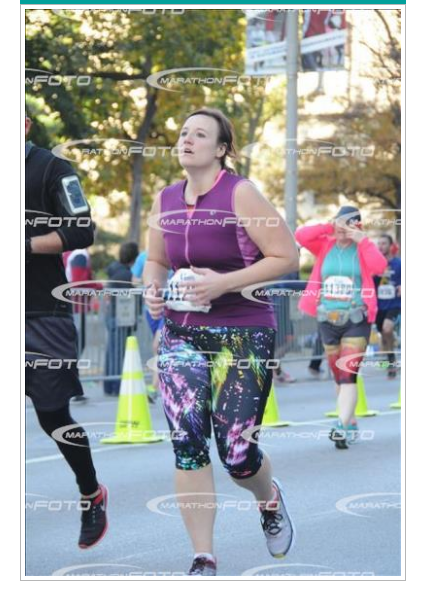 When I crossed the finish line, I threw my hands on my knees and almost puked. I pulled myself together and then Chad got an alert on my phone (bless his heart, he carried my phone the entire time)! A personal record of 3 minutes! 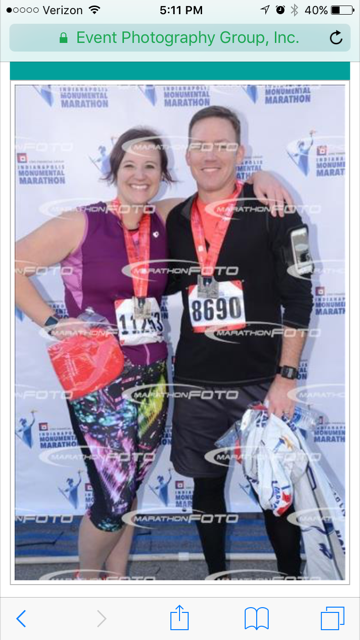 He gave me a high five and we posed for our finisher photo. I eventually met up with Brittany and Lexie. I am bummed we didn’t snap any pictures together! We relaxed for a little bit, and I chugged a bottle of water in 30 seconds. Then, we started walking back to Britt’s apartment – which felt like 5 miles away. Finally, Sarah let me borrow her bike. My knees were over the handle bar – but it worked and I didn’t crash (despite a few close calls). Listen, you will fail sometimes. But YOU HAVE to pick yourself back up. You are measured by your strength- not by much how you fall down. So, I’m getting back up. I’m running another 13.1 miles on Thursday, November 10!!!!!!!!!! I still have time to hit my goal of a 2:30ish half marathon time. There won’t be a big crowd. I won’t get a medal when I’m done. My best friend won’t be by my side. My friends won’t be along the side, cheering me on, tossing pain meds, and passing out hand warmers for my ovaries. But, I’ll finish those 13.1 miles strong. I KNOW I am capable of that pace. Oh, and the Dr. Oz writer never wrote back. But – that means I can tell my own weight loss story. To date, I’ve lost 92 lbs!!!! At my heaviest, I was nearly 300 lbs and pregnant! Today, I am 199 lbs and shrinking every single day…because I keep getting up when I fall down. You’re amazing! I didn’t realize until reading this how many miles you ran. I don’t know your friend Chad, but tell him I said thanks for being a great friend. Love Dad. You’re so sweet! Thank you, dad. You always made me believe I could do anything I ever wanted- and that’s where I get my confidence and courage! Love you.